On Friday morning, July 1 there was a fire onboard the Black Watch cruise ship which is operated by Fred Olsen Cruises. The fire broke out in the morning in the ship’s Auxiliary Engine Room. Thankfully the ship’s crew acted quickly and extinguished the fire. No passengers or guests have been injured. The fire has knocked out three Auxiliary Engines out of seven which do provide electrical power to the 28,600 vessel. 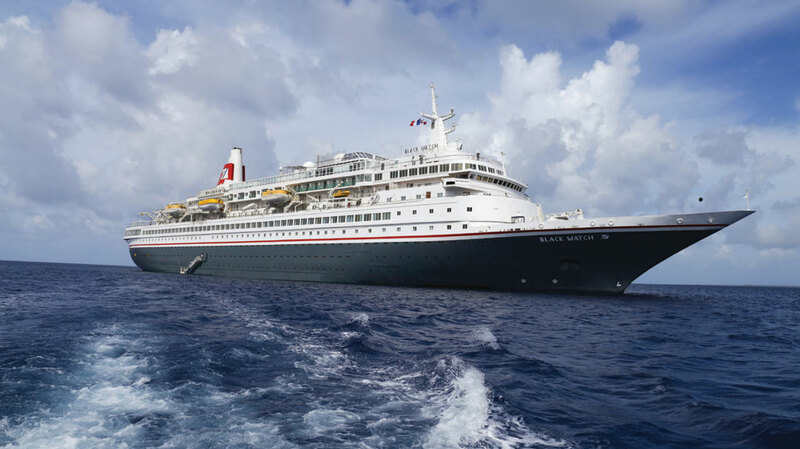 Fred Olsen Cruise Line has stated that the four main engines have not been affected by the fire. Since the auxiliary engines were damaged the British based cruise line has managed to restore some power to the ship. the situation onboard is developing and all maritime authorities have been informed. The cruise line is assessing the impact and taking all necessary actions. There are currently 696 guests and 365 crew members onboard. The cruise line is giving compensation to all guests. The ship is on a 13-Night The Azores and Madeira cruise which departed Dover, UK on July 25. At the moment the Black Watch is 260 nautical miles from Madeira, the ship is scheduled to call at the port tomorrow (July 2) and repairs will be done while the ship sails there. The vessel is scheduled back at its home port in Dover on July 8. Cruise Hive will keep readers updated on this developing news.